Home / Download Center / Electrical Engineering Books and Technical Guides / Power substation guides / Fixed or withdrawable MV switchgear? During the evaluation of purchasing of a new medium voltage switchgear the following main aspects are reviewed: Safety, reliability and economics. In the early part of the 20th century, medium voltage switchgear were of the open conductor construction, housed behind wire cages. This type of switchgear used operator dependent breakers. The inherent danger of this design, resulted in accidents and fatalities and brought about the need for the specialized operator. 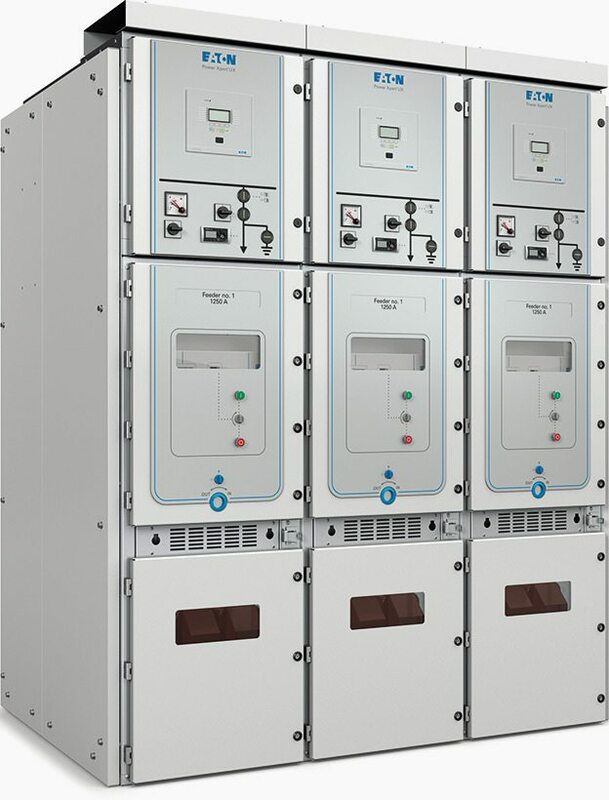 Nowadays safety of the switchgear should not, and can never be, an issue when selecting a new medium voltage switchgear. 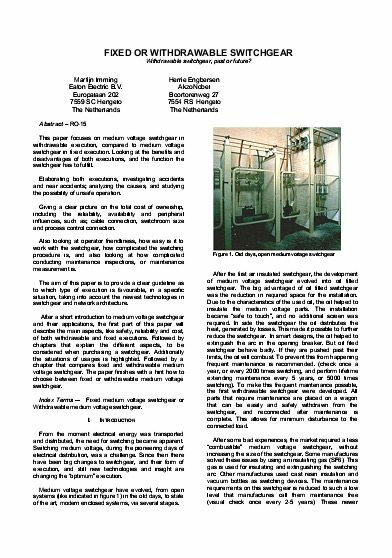 Accidents with medium voltage switchgear causing human injury and even fatality, are rare. The few reports that exist on these accidents, show that they are caused by interlocks that malfunctioned (broken or tampered with). Interlocks that prevent dangerous operation, like entering the cable connection room with live cables. A reoccurring cause of accidents, is a foreign object that is left on the withdrawable part after maintenance. If the withdrawable part is then re-inserted the foreign object connects the primary parts and causes an arc flash. Registered accidents describe different foreign objects left behind after performing maintenance, for example: a tool, a phone, test wires and loose secondary wires. A large group of accidents occur when people are maneuvering the circuit breaker in and out of the switchgear. In the Petroleum and Chemical Industries production is often a continuous process. Continuity is dependent on the reliability and availability of the electrical power supply to all process equipment. Basic availability law, dictates that availability can be increased, not by changing the failure frequency of a device, but by shortening the repair time, also known as MTTR (mean time to repair). This involves making all devices easy to repair or replace. This strategy is also known as minimum down time, and this is the main reason withdrawable systems were developed. But on the other hand the failure frequency of a system, is increased, if it consists of more parts. Adding parts to a system will increase the overall failure frequency. Consequently removing parts and simplifying the system will improve the availability. A withdrawable medium voltage switchgear consists of, all the parts that are used in a fixed switchgear. To make a switchgear withdrawable parts need to be added. Additional parts are needed to make connection and disconnection, possible. For example shutters, align gliders, wrecking spindles, signaling contacts, mechanical interlocks, main contacts, etc. Looking at the costs of a switchgear we are always tempted to only look at the initial outlay. Most likely this is the amount to be paid to the switchgear manufacturer. However the switchgear needs to be placed in a switchroom. The switchgear needs to be connected to the supply and loads, and the switchgear needs to be connected to the process control. Further more the operation staff need to be trained and the procedures need to be adjusted to the “new’ switchgear. The sum of all of these expenditures needs to be considered in the initial economic evaluations. Certainly because these are different for each type of switchgear. For example: withdrawable switchgear often have a bigger footprint and need additional floor space to handle the removable part. Total cost of owning a medium voltage switchgear should include more than only the Initial coast; as indicated below.